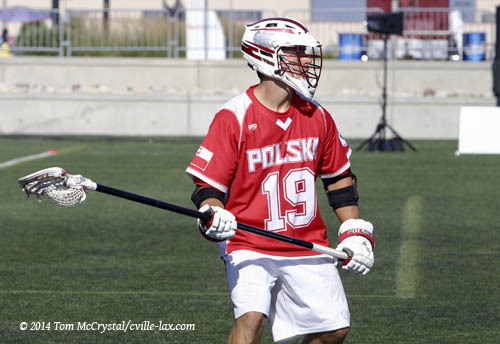 Lynchburg College assistant coach and Charlottesville Herd member Max Silberlicht’s Latvia defeats Norway 15-8. Scotland takes down New Zealand 16-12. Alex Pritzlaff 1 shot, 1 penalty (1:00). John Pritzlaff 1 penalty (1:00). Turkey gets by Slovakia 6-5 in OT. 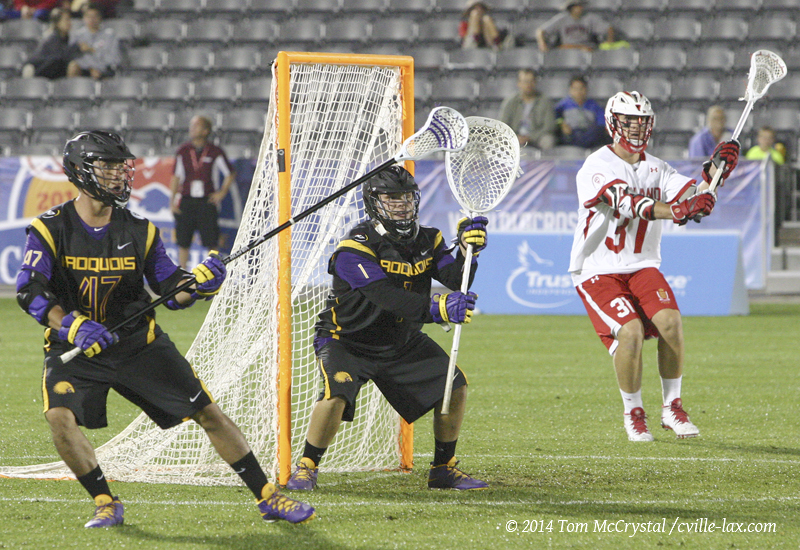 Nathaniel Gaspar gets 6 saves in 40:00 minutes of work. Belgium moves past Uganda 10-4. In a head to head matchup, UVa’s Dickson Smith and Sweden took down the Charlottesville Herd’s Chris Perzinski’s Poland 6 – 3. 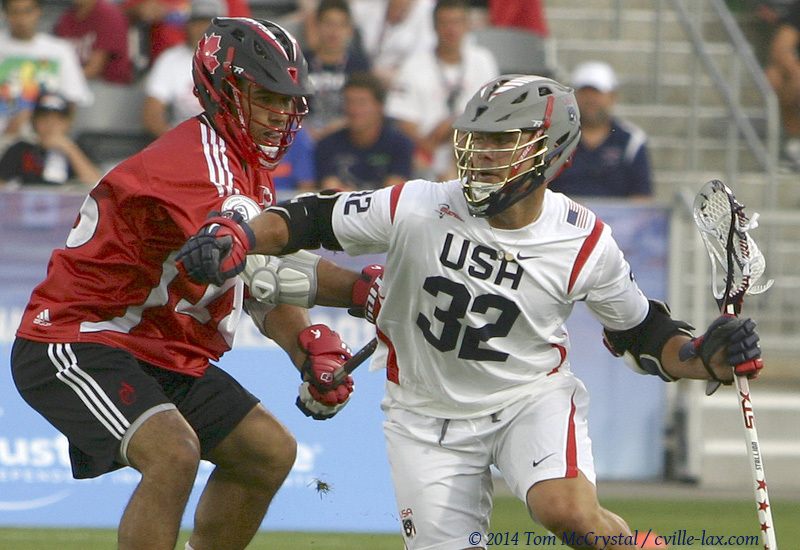 At 5:00 pm MDT, it’s the United States versus the Iroquois Nationals. The game will be broadcast on ESPN-3. Israel destroyed Germany 15 – 1 in the first game of the day. Latvia’s Max Silberlicht’s brother is on the Israeli squad. 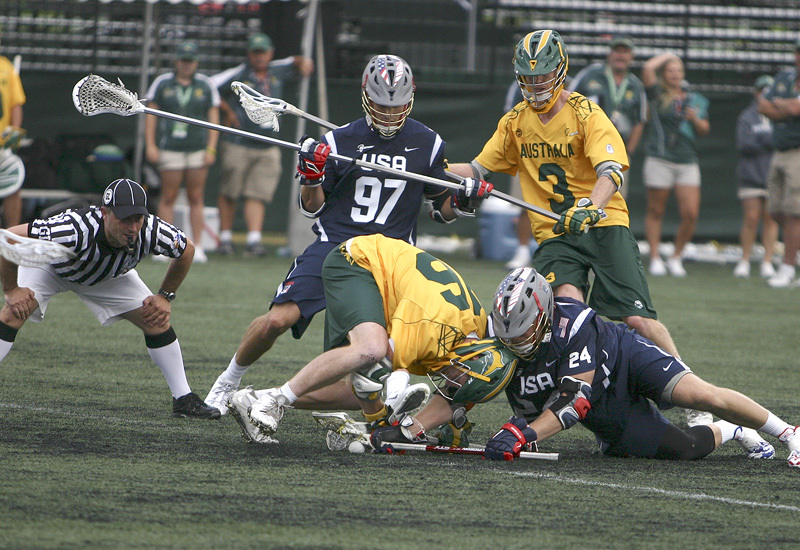 Japan defeated England 13 – 12 in an overtime thriller. The Japan continues on in the Championship bracket; England must win their next two games or they will drop out of the Blue Division in 2018. Ireland vanquished the Czech Republic 12-10. Blue Ridge Coach John Hetzel played (and coached) for the Czech Republic in past World Championships. 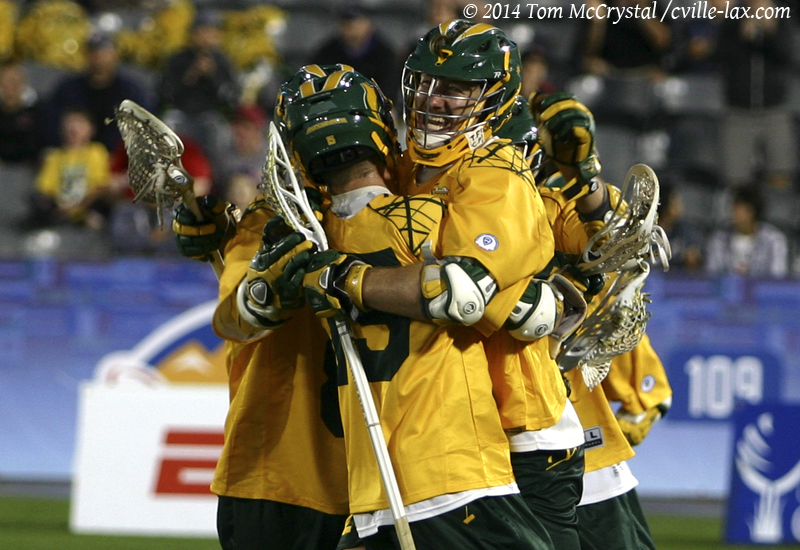 Australia looks to upset Canada at 8 pm MDT. The game will be broadcast on ESPN-3. Lynchburg coach and Charlottesville Herd member Chris Perzinski’s moves to the top bracket with a 14-4 win over Hong Kong. Poland can finish as high as 9th, or low as 18th. Lynchburg College assistant coach and Charlottesville Herd member Max Silberlicht’s Latvia crushes Spain 21-3; also moves into the winner’s bracket. Latvia can finish as high as 17th, or low as 26th. Slovakia moves ahead as well, defeating France 17-12. Former AHS goalie Nathaniel Gaspar played one half, records 1 save. Slovakia can finish as high as 17th, or low as 26th. New Zealand overpowers the Netherlands 10-14. Charlottesville Herd member John Pritzlaff gets one goal in the fourth quarter. Is in the Championship bracket, and could conceivably win. The lowest they could finish is 10th. Sweden cruises past Bermuda 19-4. Dickson Smith – 1 shot. Sweden can finish as high as 9th, or low as 18th. UVa junior Tanner Ottenbreit helps coach Team Uganda to the country’s first win in international lacrosse competition with a six goal run in the fourth quarter. Uganda 10 – Korea 9. Final. Uganda can finish as high as 25th, or low as 34th. 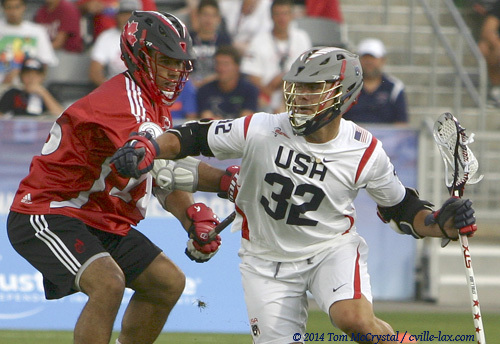 The United States looks for a win over England at 5:30 PM MDT. The game will be broadcast live on ESPN-3. Is in the Championship bracket, and is the odds-on favorite to win. 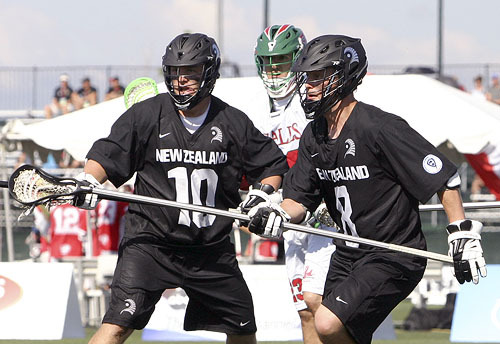 Coach Mark Van Arsdale and the Iroquois Nationals recover from Sunday night’s heartbreaker with a win over Australia 12-10. Canada dominates Japan 20 – 3. Germany overcomes the Czech Republic 9-5. 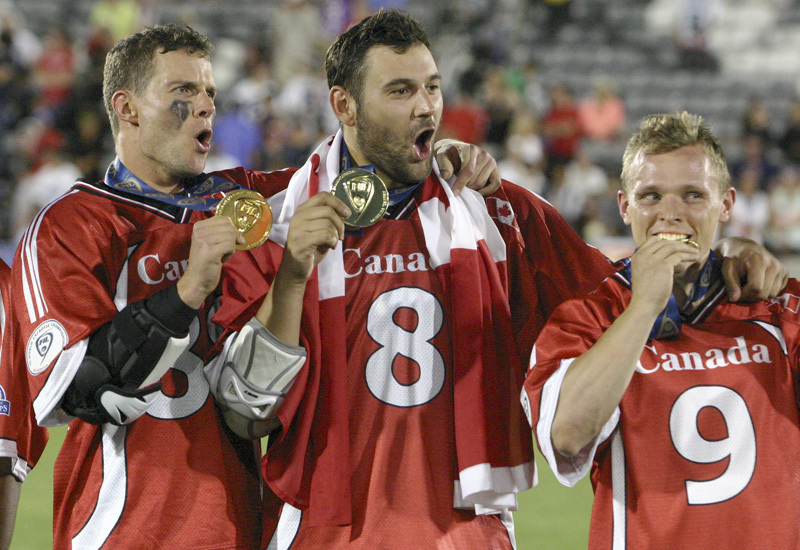 The Lacrosse Network put together an outstanding video of the Opening Ceremonies of the 2014 World Lacrosse Championships. Cville-lax.com is delighted to bring it to you.